Home » Guest Post: What’s Behind Patch Design? Guest Post: What’s Behind Patch Design? As long as there have been reasons to mark accomplishments and alliances, there have been emblems to commemorate those milestones. From the US Army to the Girl Scouts and Boy Scouts, all the way up to the astronauts corps, patches have been a way to indicate individual and team achievements. Patches and insignia do not appear in a vacuum. Careful design work, often between many people, goes into each patch. A patch has to communicate to an observer and also should have some meaningful connection to the wearer that instills pride and honor. Like all artwork, from sculptures and architecture to paintings, the genesis is a simple idea. The designer may have a general notion, working closely with other people involved to round out the message. For example, an astronaut “crew patch” will express some of the ideals or goals of the crew for that mission. If it is a mission to bring a new component to the International Space Station, it should somehow illustrate that so when someone in the future looks at the insignia, they immediately understand their primary mission. 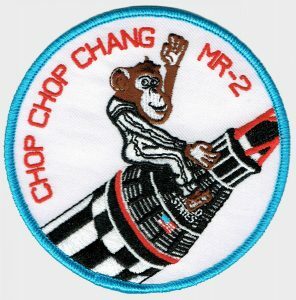 Other key parts of good patch is design include symbols of the mission or crew. They may be cultural or ethnic in origin or indicate patriotism when specific details of a national security mission are shrouded in secrecy. Symbols may give homage to those they wish to memorialize or express gratitude for. Most patch designs will mix these elements. It is up to the designer to work closely with the crew to establish what concepts and messaging they want to include in the design and how they may want to express them. When I say “designer” keep in mind I am not specifically referring to a professional graphic designer. Design comes from many places and in many forms. Some patch designs start out as a general idea that may originate from a family member or close friend. There are cases where a contest is held and a winning design is selected, often from people in a specific region. Of course, many designs do originate from professional graphic designers who work with the crew or organization. The organization may have a specific, established aesthetic. 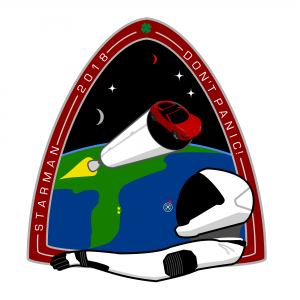 For example, SpaceX and Orbital Sciences have an in-house designer for all their patches so they have a consistent branding represented. I have talked about crew patches, but there are also patches that mark significant milestones or commemorate specific events. For example, there is a patch that every shuttle astronaut earns after their first space shuttle flight called the “Mach 25” patch. You will see this worn proudly on every blue NASA jumpsuit worn by a veteran shuttle astronaut. The only way you can earn the “Mach 25” patch is to experience a flight on the a Space Shuttle because they are the only vehicles capable of flight at 25 times the speed of sound! 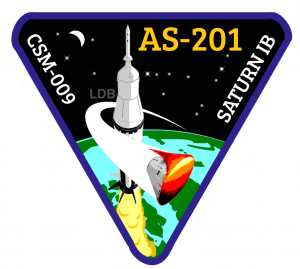 Other patches may mark an individual astronaut’s flight into space, these are referred to as “personal patches” and they usually contain design elements of their specific mission objectives for their flight or stay on the ISS. Not all patches are intended to commemorate specific individuals. 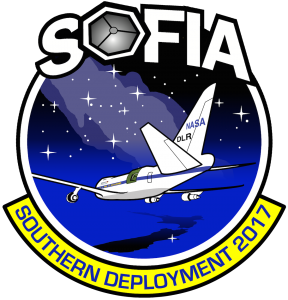 Patches have been designed for agencies, payloads, unmanned probes, and even experiments that never leave Earth. However, they are just as meaningful and sentimental to the people involved. Many different organizations and thousands of individuals may contribute to a specific launch so it is not uncommon for a single mission to result in five or ten different patches awarded to different teams and contractors! A Spacelab module mission on the Space Shuttle can yield dozens of patches, one for each of the multitude of experiments on board. However, even small, terrestrial experiments have insignia for their teams or individuals as a way for them to commemorate their participation and be recognized for their efforts. I have had the opportunity to design several official patches for NASA. I am not a graphic designer by trade; in fact, far from it, being a software engineer as my day job. My interest in design stems from my own personal interest in collecting many types of NASA patches. I have slowly accumulated a familiarity and appreciation for with what elements go to into patch designs. 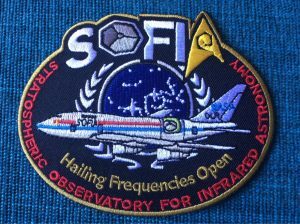 A number of years ago I seized a unique opportunity to design a patch for a the former Star Trek actress, Nichelle Nichols who was to fly on board NASA’s SOFIA airborne observatory. The final look of this patch was somewhat unique in that the design was fully my own creation but she loved it as-is and carried the patches on board the flight! 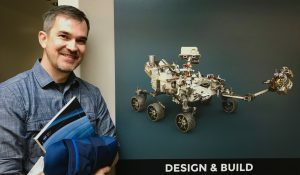 From that opportunity sprouted many more chances to design official patches for NASA! Those patches would all be collaborative efforts with the teams involved so their specific messaging, milestones, and objectives would be conveyed on the artwork. I am fortunate to have been granted extensive liberty with these designs, so I have been able to explore different approaches in my own style of expressing their ideas. I feel particular pride in being able to contribute to an agency and to people that I have had so much personal interest and gathered so much excitement my entire life. It has been a greatly rewarding experience and I cannot describe how it feels to see my artwork in the wild! 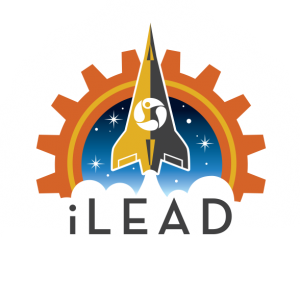 I was ecstatic to be asked to be a part of the iLEAD panel to review patches designed by students. I was amazed by both the execution and design aesthetic of the participants and had a difficult time selecting the final picks. I look forward to seeing designs from these bright minds in the future. About the author: Liem Bahneman is a lifelong space enthusiast. His interests range from astronomy and high-altitude ballooning, to spaceflight and everything in between. While he is a software engineer by trade, he has found great joy in collecting NASA and spaceflight-related patches. More recently, he has cultivated an exciting creative outlet in actually designing embroidered patches for NASA missions that lacked their own official insignia for other collectors. This would eventually lead to real opportunities to design official project and mission insignia for NASA and the Boeing Company. 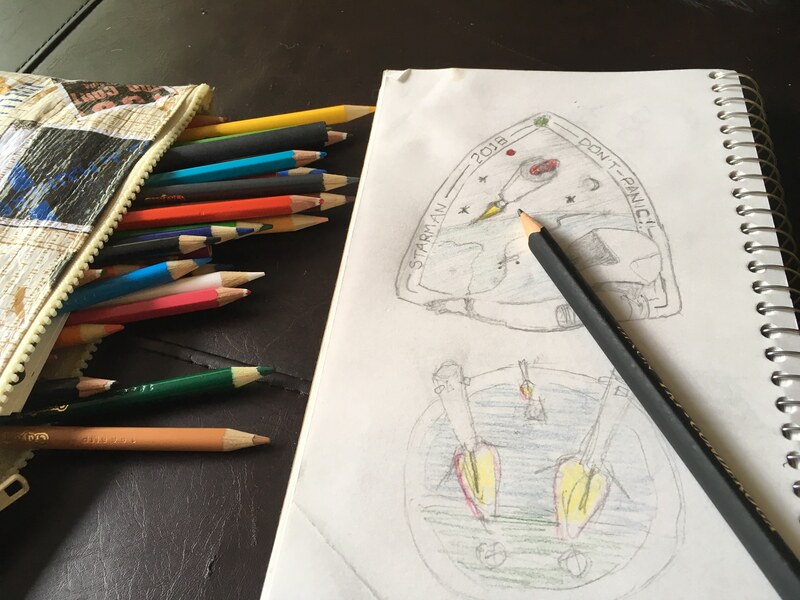 He hopes to someday design a mission emblem for an official interplanetary probe or manned mission to space. I really appreiciate your post, this would really provide the great information .Thanks for sharing.